Tristram Williams maintains a busy international career as a soloist, ensemble musician, improvisor and educator. He has appeared as a soloist in The Netherlands, Belgium, Germany, France, Britain, USA, China and many times around Australia, with the Melbourne, Queensland and West Australian Symphony Orchestras. Tristram was Associate Principal Trumpet of the Melbourne Symphony Orchestra at age 21, before resigning in 2006 after 7 years to concentrate on his other projects. He has performed as acting Principal Trumpet with most of the Australian Orchestras, and in 2004 was invited by Markus Stenz to play principal trumpet in the Guerzenich Orchester’s 100th Anniversary concert of their premiere of Mahler’s 5th Symphony in Cologne. Tristram is a member of the Australian New Music ensemble ELISION, and plays in a trumpet/electronics duo, DIODE. 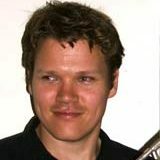 Tristram Williams is Lecturer of Trumpet at the University of Melbourne. His teachers have included Armando Ghitalla, Hakan Hardenberger, Reinhold Friedrich, Markus Stockhausen, Daniel Mendelow and John Kellaway. He is a laureate of major international trumpet competitions in Brussels and Eindhoven, the ABC Young Performers Award, a 2008 Churchill Fellowship, and was awarded a prize from Karlheinz Stockhausen at the 2006 Stockhausen Interpreters Course.